Inside: Help your children learn more about professions in their community with these community helpers worksheets. They’re the latest addition to the printable activities for kids collection. As my kids are getting older, I’ve realized the importance of teaching them about the world around them. 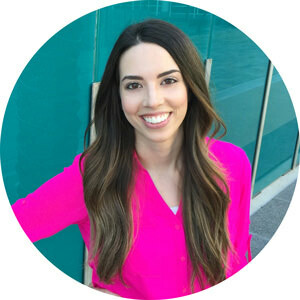 One important aspect of that is introducing them to their community and the people who have jobs that help the community thrive. 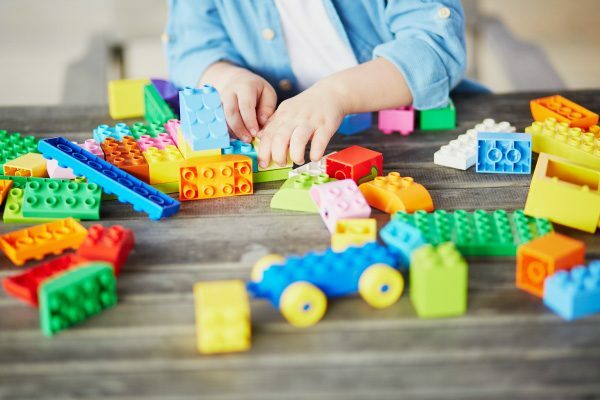 Some of these community helpers are occupations that young kids first think of like firefighters and police officers, but there are so many other jobs that help keep our community running smoothly. 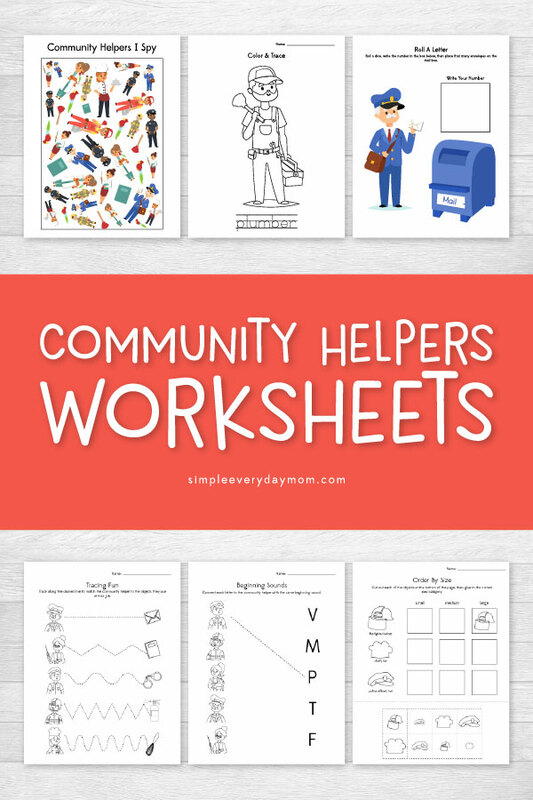 These community helpers worksheets are a great supplement to formal lesson plans or just some informal discussion on the people we know in our area. 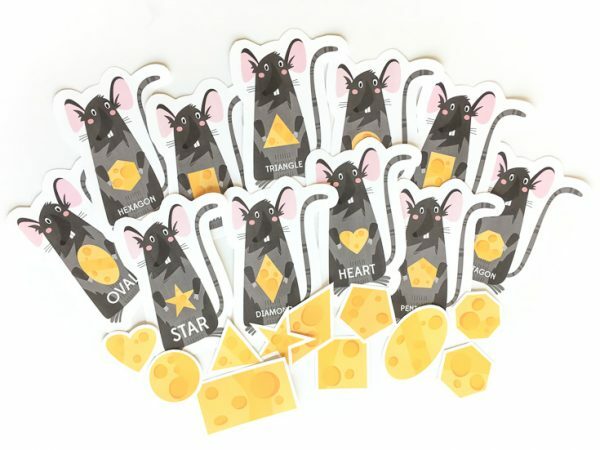 Scroll down to read more about these fun and educational printables. 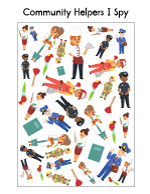 There are a variety of printables in this pack which will help reinforce learning about community helpers and the jobs they do. The worksheets also have kids focus on fine motor skills, patterning, counting, beginning sounds, handwriting and much more! 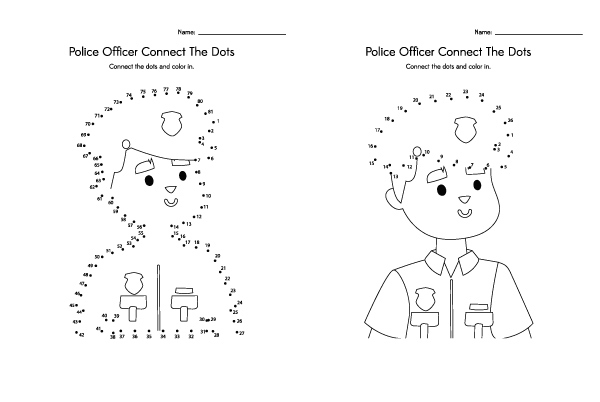 These worksheets are fun to color and help kids with counting. There’s an easy version for younger kids and a more difficult version for older children. Each one of the seven community helpers is included on a separate page that kids can color and trace the occupation name on the bottom. If your kids love coloring, be sure to download these free Disney coloring pages or these fun color by number printables. 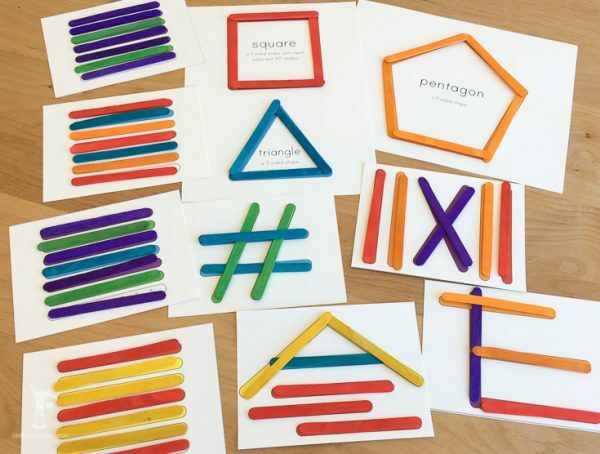 This activity helps kids with fine motor skills, handwriting, and spelling. Are your kids really interested in vets? 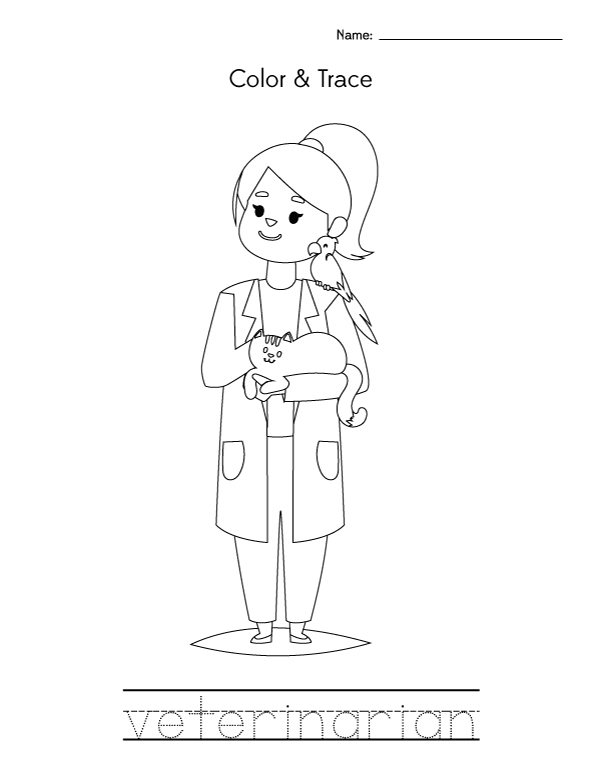 Check out these pretend play vet clinic printables. 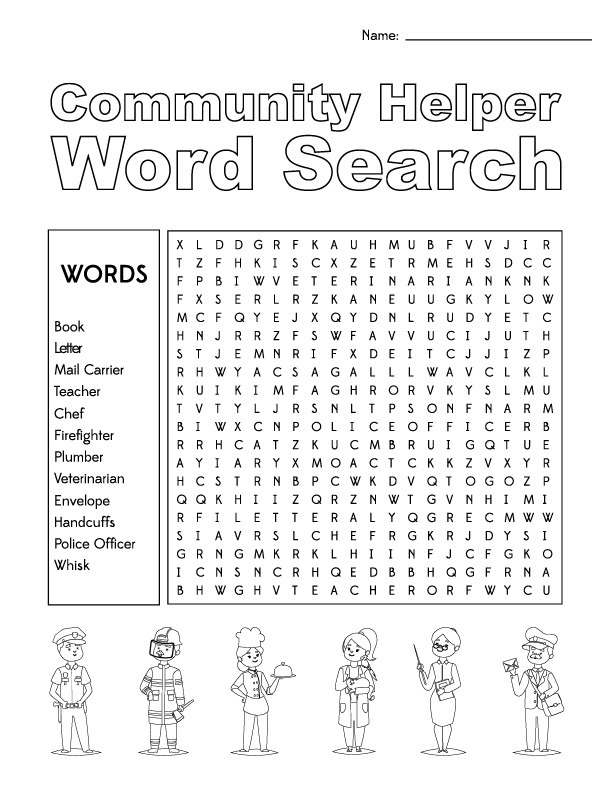 Older kids will have fun finding these community helpers and some of their tools in this word search worksheet. 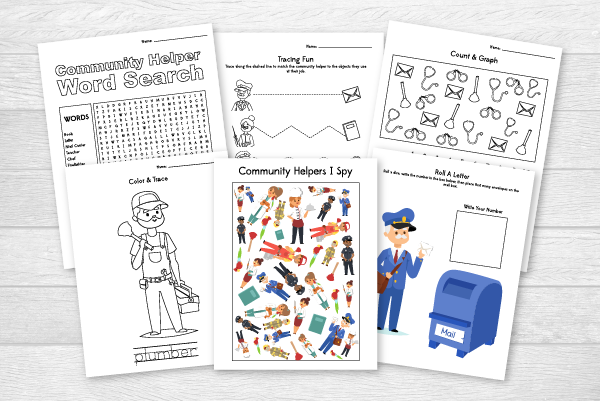 I Spy printables are always so much fun, so I’ve included this one that includes all the community helpers and some of their tools. 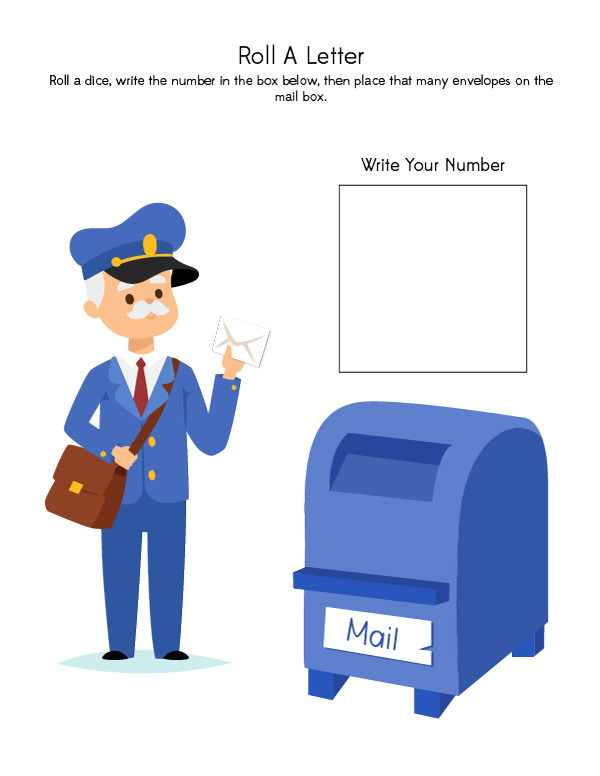 In this printable game, kids will roll a dice then write that number in the blank box and count out that many envelopes to put in the mail drop box. It’s best to laminate this page and use dry erase markers so kids can play over and over again. 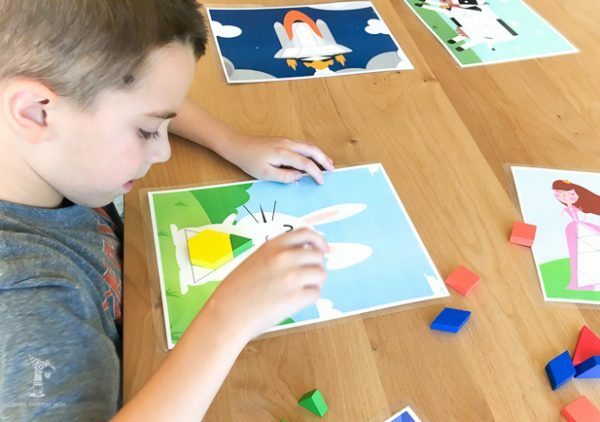 These worksheets help with fine motor skills, beginning sounds, size discrimination and more. I’m sure your kids will love learning more about their community helpers too! Don’t forget to grab your free download at the end of this post. 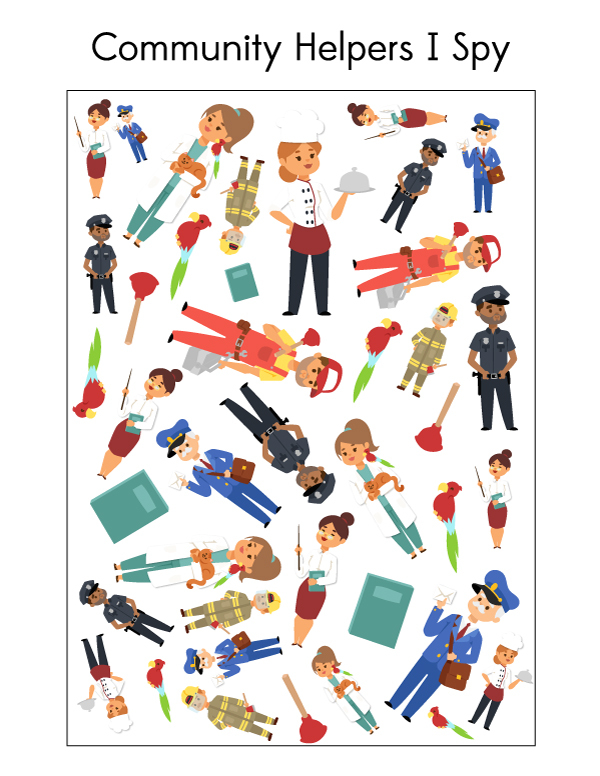 Enter your email address below to download your free community helpers I Spy game.